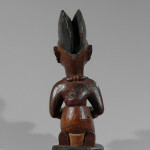 Age: Early to mid 20th century. 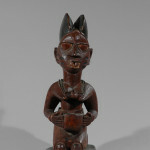 Such images of the female represent a manifestation of Yoruba ideals of beauty and the gods’ power to bequeath fertility. 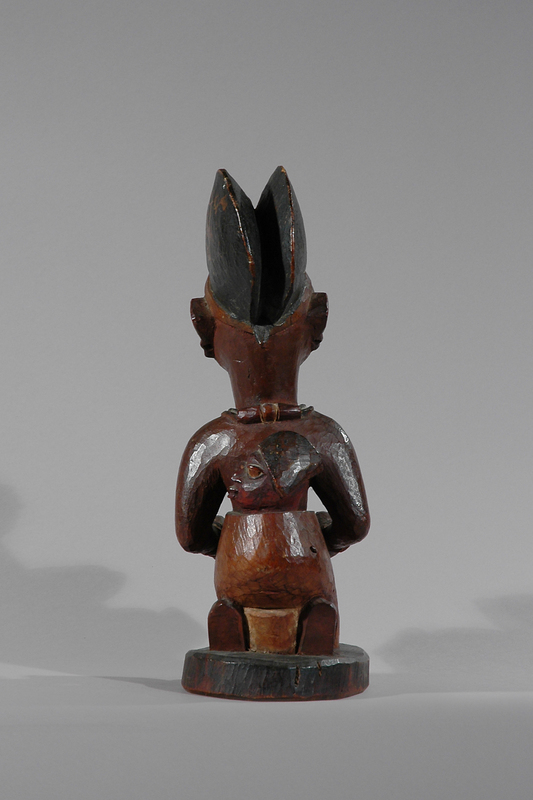 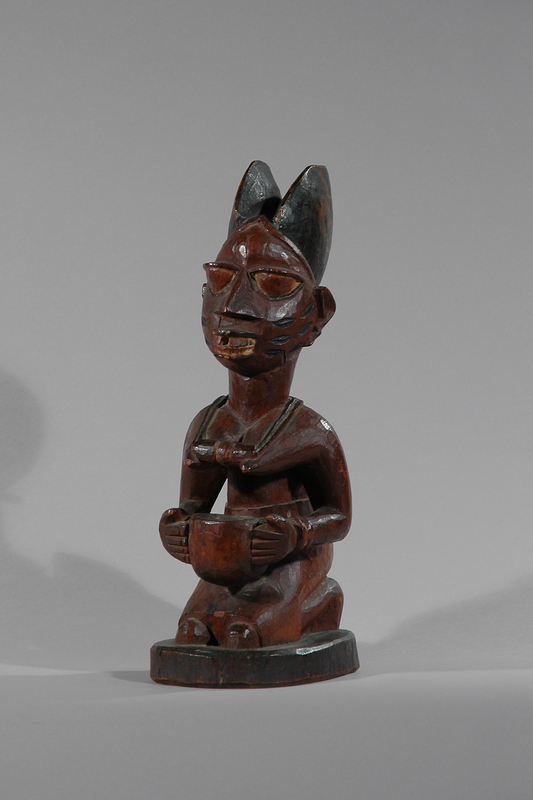 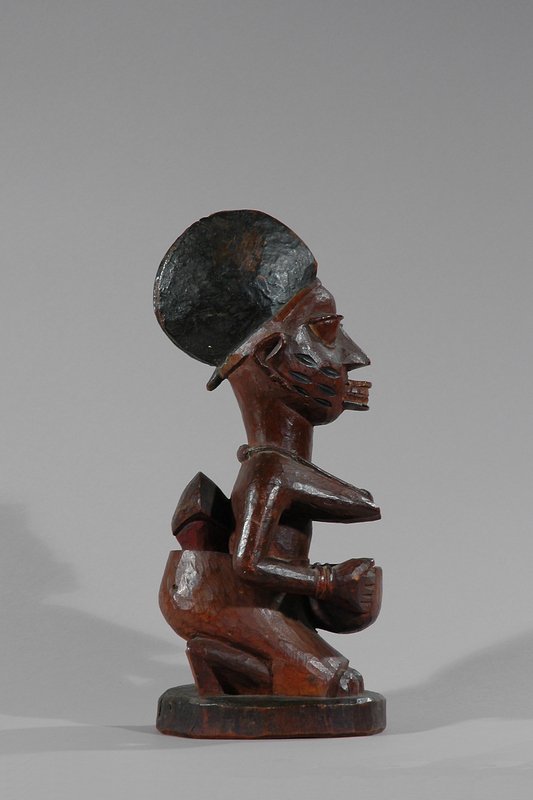 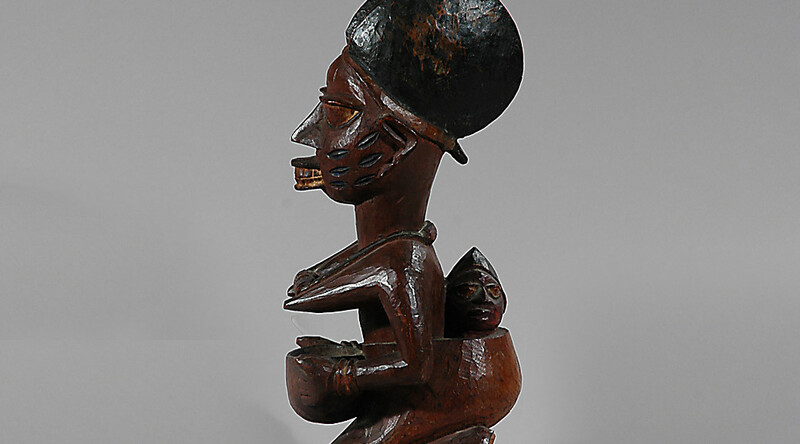 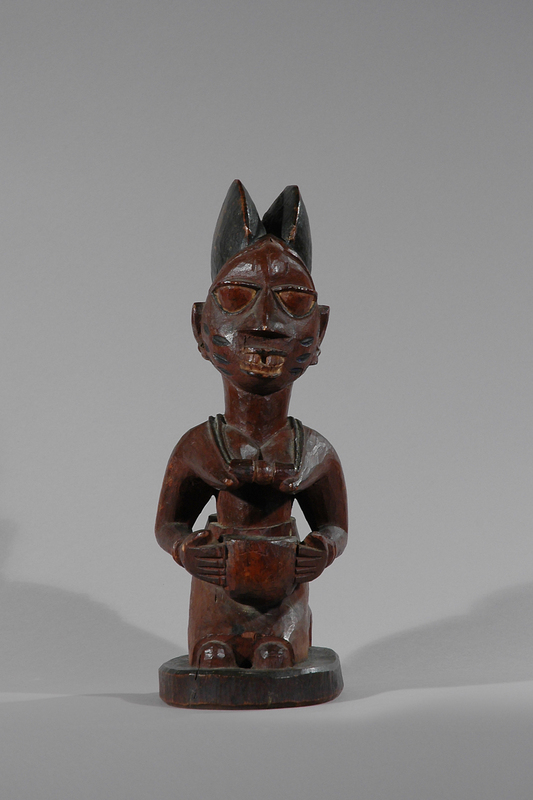 The carver has carefully executed the figure’s composition to conform to Yoruba traditions as well as to achieve a great sense of equilibrium. 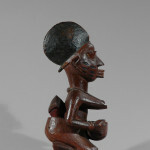 The Yoruba people, numbering over 20 million, are one of the largest nations in Africa with an art-producing tradition. 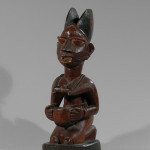 Most of them live in southwest Nigeria, with considerable communities further west in the Republic of Benin and in Togo.